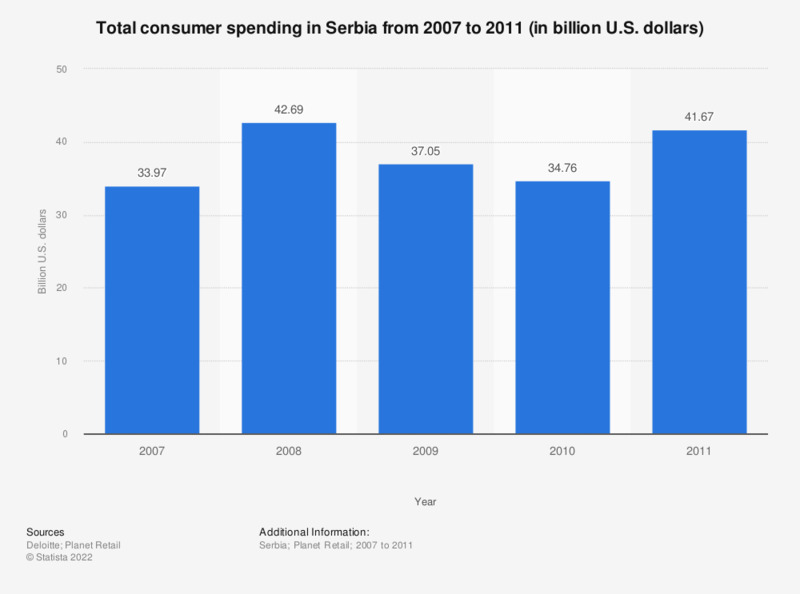 This statistic depicts total consumer spending in Serbia from 2007 to 2011. In 2008, Serbia's total consumer spending amounted to about 42.69 billion U.S. dollars. Data presented in annual average exchange rates.